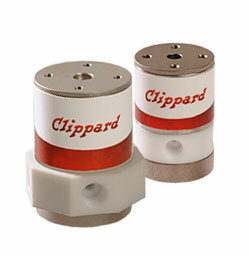 In this on-location video, Design World's Mary Gannon talks with Clippard's Attila Kiss and Glenn Rahm about the new NIV Series media isolation valves, which are made with PTFE to resist corrosive media. 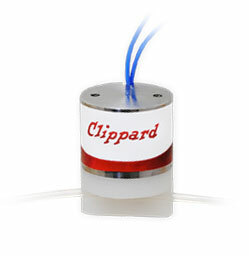 This new solenoid-operated valve line uses a flexible diaphragm to isolate the actuation mechanism from the fluid path. Attila highlights how the valves are manufactured in a state-of-the-art clean room for use in medical and analytical applications while Glenn discusses the challenges Clippard had to overcome when working with PTFE for the first time in its pneumatic valve designs.